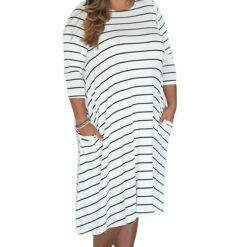 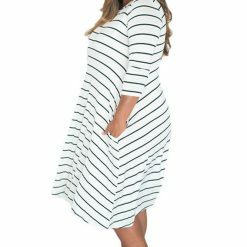 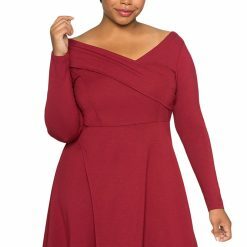 Liven up your day with this vibrant plus size midi dress. 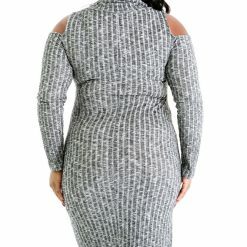 Features a solid color/multi-toned floral print with a bodycon silhouette that adds movement to your strut. 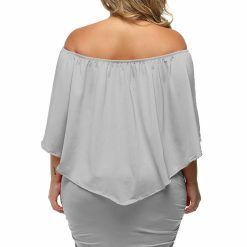 Made with an off-shoulder neckline, double flounce layer detail, and comfortable stretchy fit. 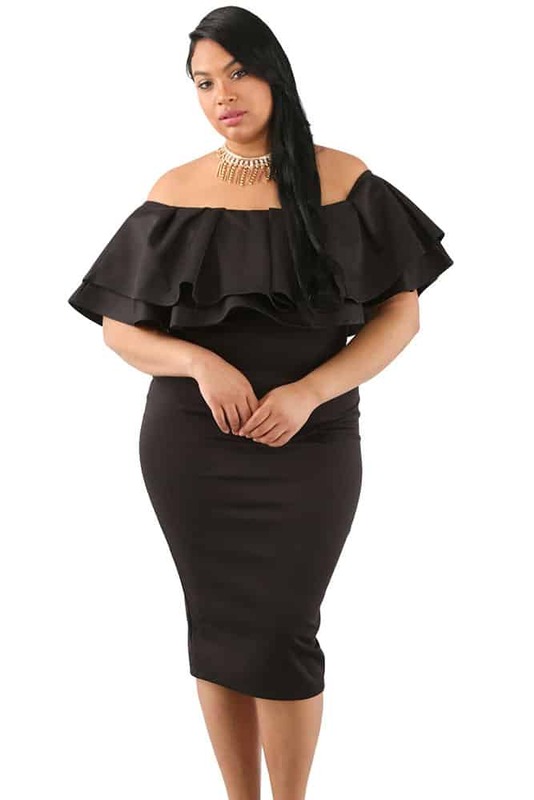 Add this luxurious dress to your special occasion wardrobe for a chic and versatile occasion option. 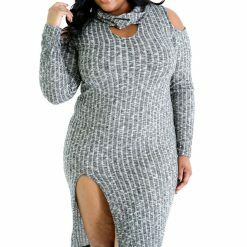 It gives you an effortless look that won’t go unnoticed.